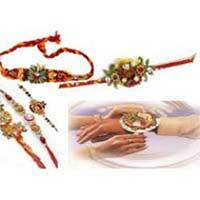 Expressing love to brothers becomes more special with our exquisitely designed Rakhi Threads. 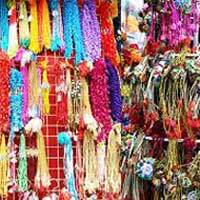 These Rakhi Threads are created by talented and skilled designers who ensure that each Rakhi Thread looks unique and different. 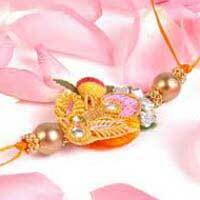 The Rakhi Threads that we offer stand out from the rest due to their attractive designs and stunning patterns. 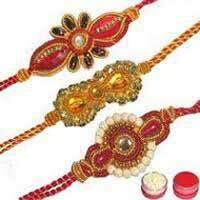 Our Rakhi Threads are available to clients at market leading prices. 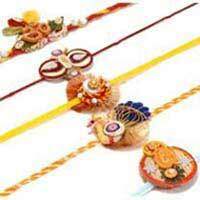 These Rakhi Threads are available in several vibrant colors, shades and designs to suit the preferences of the clients.